CMPA announced that CAS had found Chen guilty of doping, annulling her result from the 2016 Olympic Games in Rio where she finished fourth. 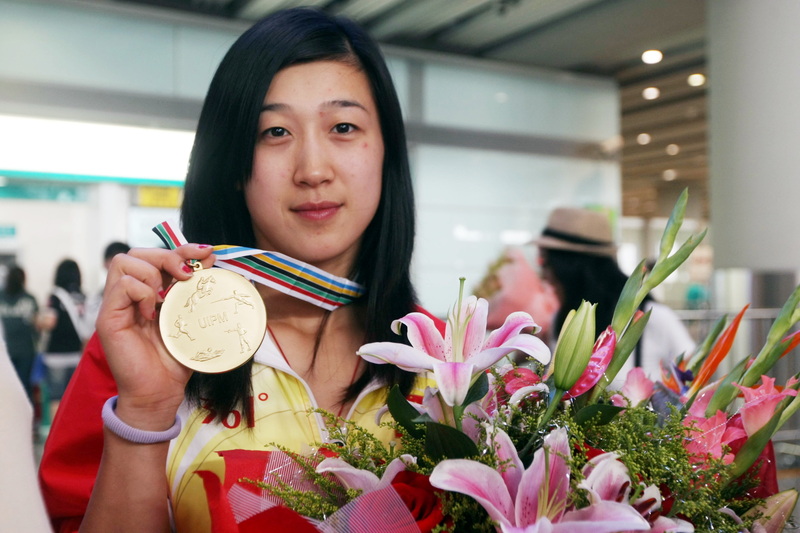 The Chinese Modern Pentathlon Association said on Sunday that they respect the decision made by the Court of Arbitration for Sports concerning Chinese athlete Chen Qian. CMPA announced that CAS had found Chen guilty of doping, annulling her result from the 2016 Olympic Games in Rio where she finished fourth, but didn't name the banned drug that brought her down. "We will seriously deal with the doping incident involving Chen Qian and draw lessons from it," said a CMPA statement. "We will show no mercy in the punishment of those responsible," added the statement. The CMPA admitted the incident has underlined a complicated and difficult situation facing anti-doping efforts in the field of Chinese modern pentathlon, and laid bare loopholes in the association's fight against doping. "The CMPA must, and will reflect on its work, keep alarm bells ringing, strengthen anti-doping measures including education, management, scrutiny and punishment, and build a defense line that allows no blind spots, in order to effectively prevent, crack down and punish any doping offenses," said the statement. The Chinese Olympic Committee said on Sunday that they will conduct a thorough investigation into the matter. The COC condemned Chen's doping offense which violated sporting ethics and the Olympic spirit, saying they respect the CAS' decision and will punish those responsible for the offense. The COC reiterated their stance of zero-tolerance toward doping in sports. "We have long been firmly against doping and take a zero-tolerance approach to doping," said the COC in a statement. "We have made it very clear that we want to ensure fair play and the well-being of athletes," added the statement.